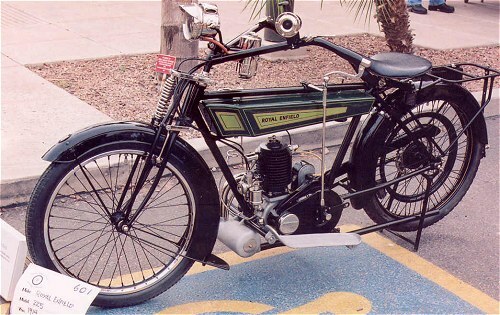 Royal Enfield started making this Two stroke model 1914 but because of the world war there weren´t many made before 1919. The project on the pictures are sold as seen, we don´t have any more parts info about it and exact year of fabrication is unknown. Much work is done on this bike but there are parts missing as it seems, there are no gear selector, magneto or transmission cover for example. Price as in pictures including framed oil painting wich are the only document available 2300 euro. Picture below is an example of how nice it can be when finished.